MANY of us take our soldier’s deployment in our stride and get on with life as best we can, but some families will need more support and look for ways to cope with the stress that a longer period of separation might bring. 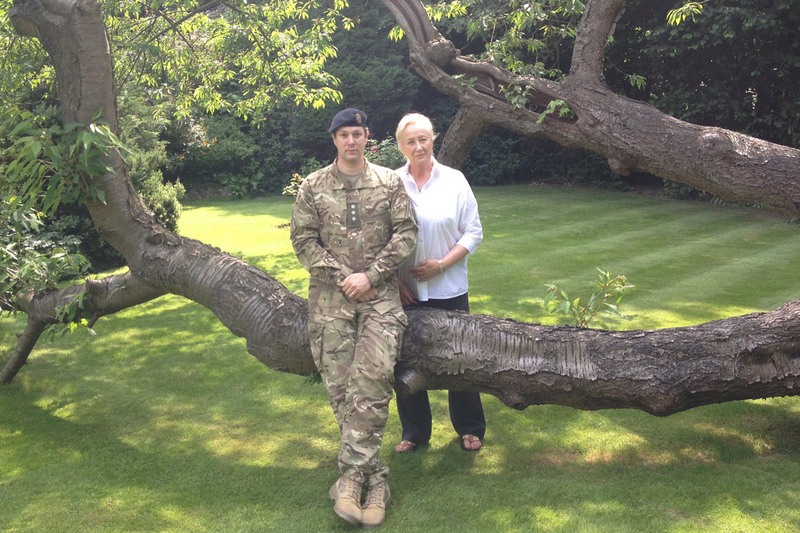 The requirement for greater backing was not lost on Inge Wise, a trained psychoanalyst with many years of experience and a son in the Army. It was while her son, Capt Adam Wise RLC, was serving in Germany that he became aware that some of us require more emotional support when our soldiers deploy. He suggested that Inge become involved by providing professional assistance to families via Unit Welfare Officers (UWOs), giving her an invaluable first-hand insight into Service life and deployment. Marital breakdown and its impact on operational effectiveness. Inge has found that when Service personnel are about to deploy, they generally look forward to it while their loved ones can feel more uncertain about the prospect, even though we understand and support our soldiers’ commitment to the Army. Deployment can be hard on those of us who stay behind and some people can experience high levels of anxiety. Those about to deploy can feel guilty about leaving their families and have to manage their own anxieties about what going on tour will bring. Some people talk about this to their partners and parents, but for those who don’t they have to manage their own inner turmoil. Inge’s work can help unravel some of these emotions to make the deployment process easier to cope with. The importance of confidentiality has been the key to Inge’s success with the projects. Families need to have a safe space to openly discuss their anxieties and to build trust, so Inge remains independent of the chain of command but works alongside them. Outcomes from the projects have been difficult to measure statistically, but Inge has received written praise and support from the UWOs she has worked with. Inge is currently running a Coping Strategies Project at The Beeches community centre in Bulford, Wiltshire for families of 4 Rifles until December. These can be attended by spouses, parents and wider family members. Any sessions not taken up by 4 Rifles will be available to other units deploying or who have deployed within the last two years. For further information, contact Inge by email at inge.wise@btinternet.com or call 07790 908145.